An air force base is a fully contained community, not only supporting its air mission but also the basic needs of those living on base. Lincoln had its own supermarket, theater, swimming pools, schools, police and fire department units. Accordingly, Lincoln had three fire stations at full strength, one of them a crash station reserved for reporting to aircraft and flight-line incidents and the two others reserved more towards structural fires. 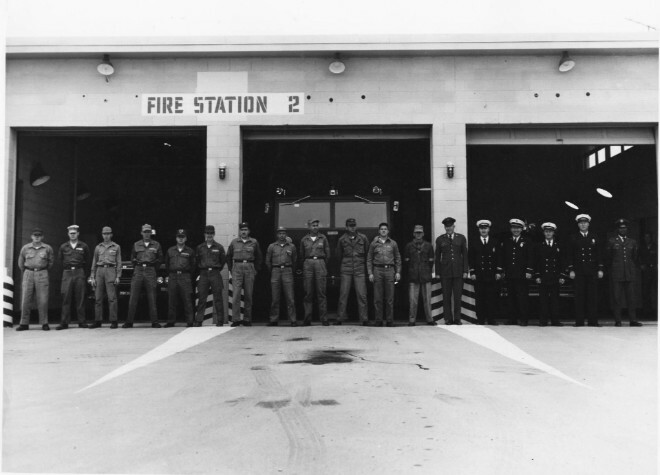 In fact station three covered the necessities of the base housing area. As seen by looking into some of the garages above, many trucks were utilized at Lincoln. Mr. Fisher reports Lincoln had two of the 0-11As (first photograph) accompanied by pumpers (many of these were the familiar "deuce-and-a-half" truck (as noted in the photograph directly above in the far left bay and directly below)) and smaller flightline patrolling pickups (the second photo down). 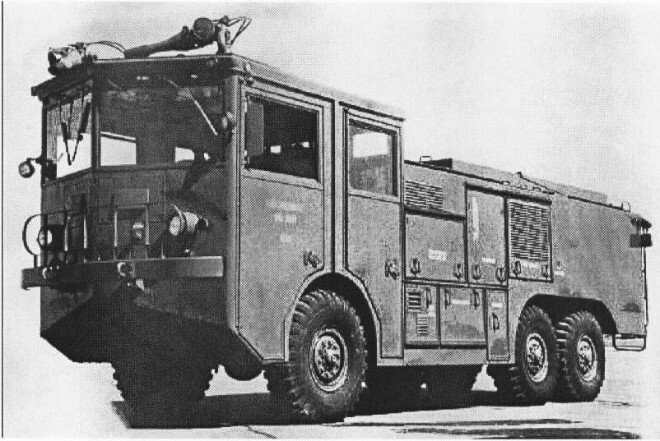 In addition, rescue vehicles were utilized by fire units as well. Fire units had to deal with a great many different emergencies on base. 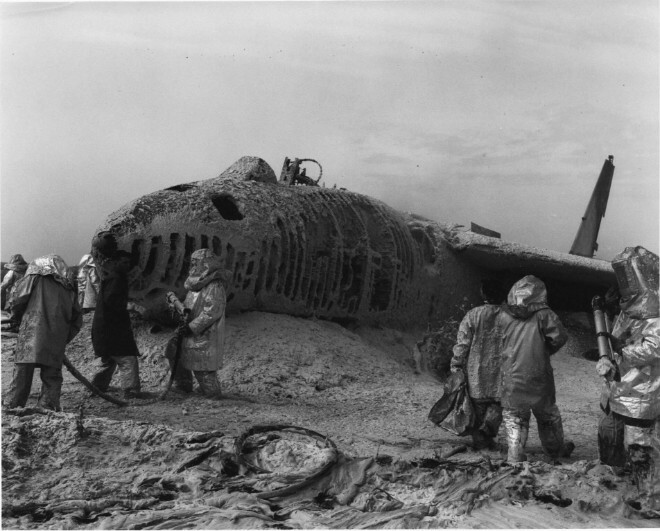 Of course crash crews had to respond quickly to aircraft crashes (of which there were an unfortunately regular event in relative terms noted in the photo below) but also house fires. 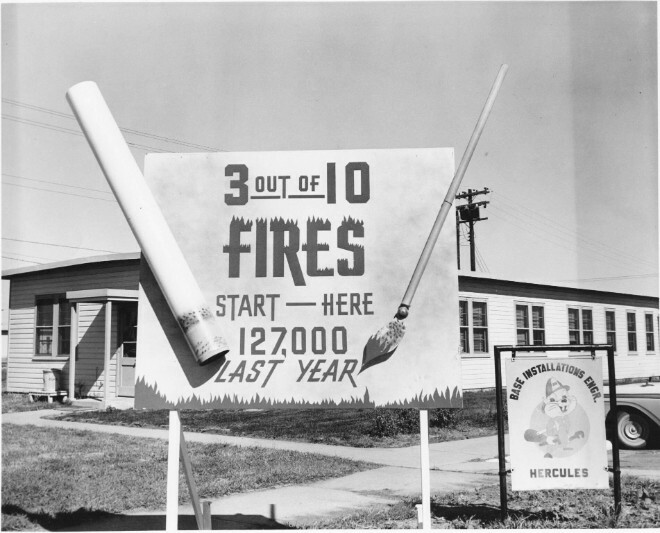 In fact there was a campaign to curb cigarette-started house fires as noted in the second photo below. 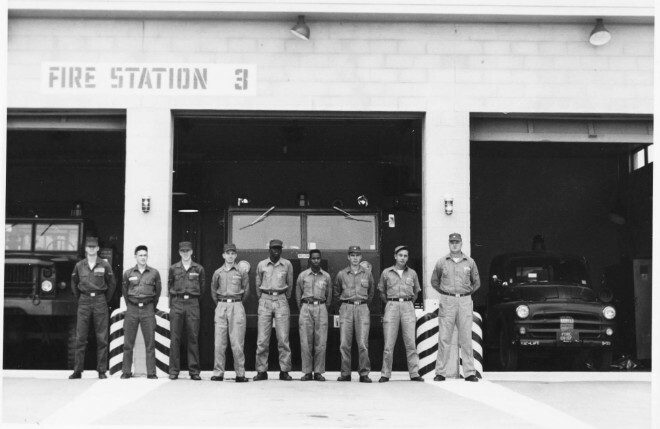 As operations began to wind down, fire crew staffing began to slow until 1966 when the base closed. 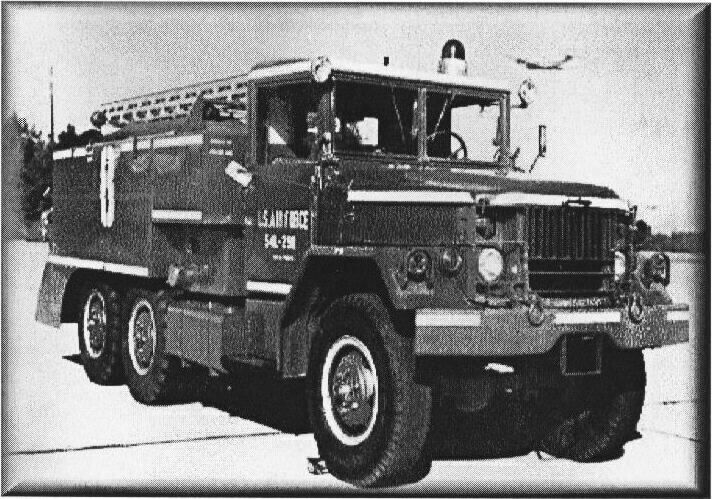 Only Station one operated at this time and soon transitioned out and left the Lincoln Fire Department to provide fire coverage of the area. 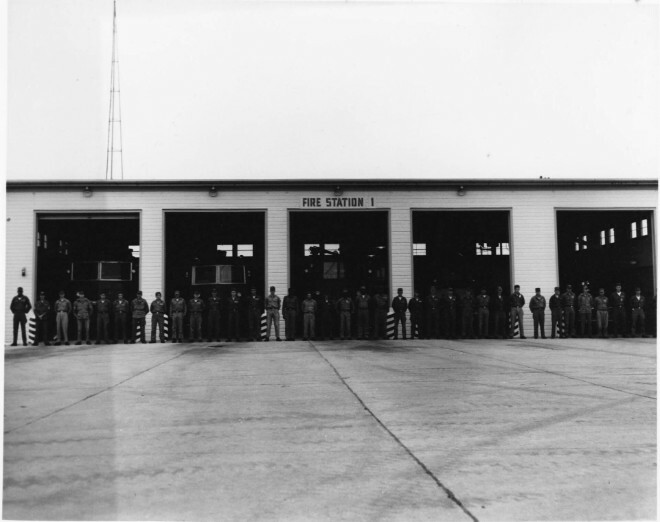 Today Station One remains (owned by Duncan Aviation and used for other purposes) while Station Two was converted to a Nebraska state measures laboratory with an unknown present use. Station Three (the station that largely covered the housing area) was removed and today only a driveway remains of the building.